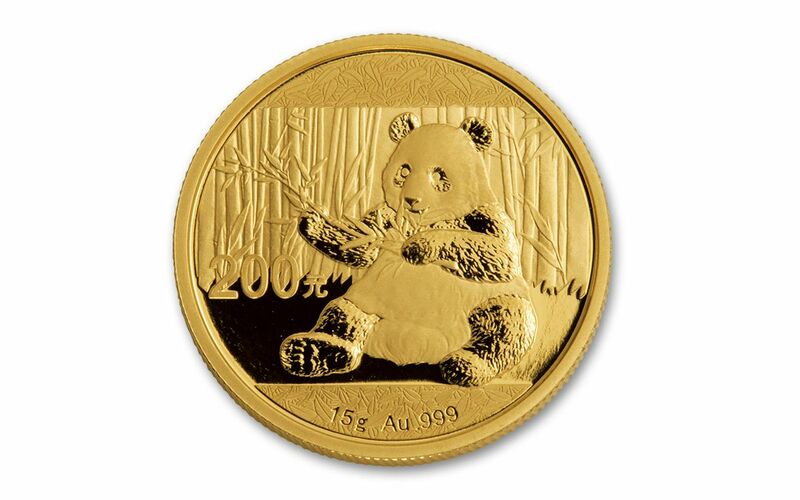 Some coin series just get better and better as time moves on -- and China's beloved Gold Pandas are a perfect example! 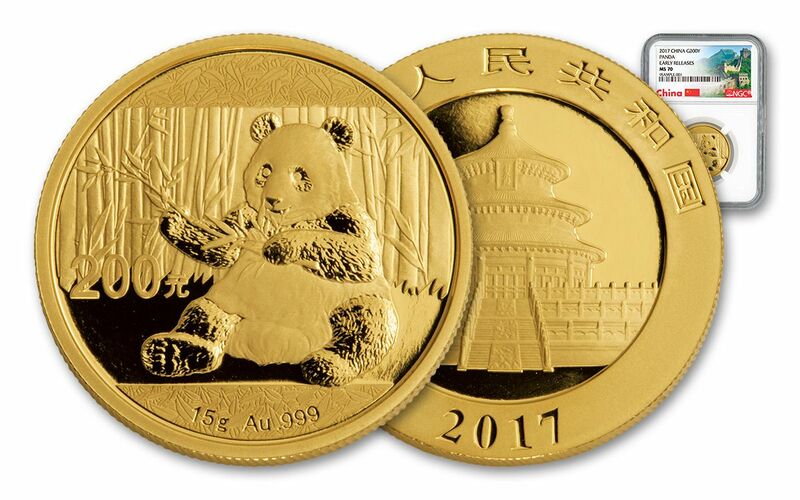 These 2017 200 Yuan Gold Pandas are the latest in a beautiful progression of the series. To start, 2017 is only the second year that the series has used metric measurement, producing coins in unique 15 gram weight, struck in 99.9% pure gold. Next, this year's scene, featuring an adorable panda sitting and holding a stick of bamboo, is the latest in one-year-only reverse designs, making them extremely collectable. 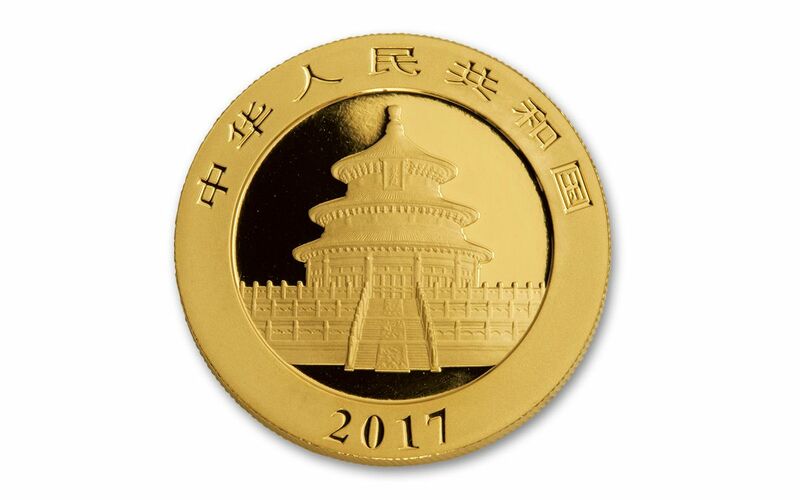 Finally, the obverse reverently depicts Beijing's Temple of Heaven -- an annual mainstay of the series. Your coin will be graded Mint State-70 (MS70) by Numismatic Guaranty Corporation (NGC), a distinction that means your perfectly-graded Gold Panda will have ZERO imperfections -- showing all features and fields exactly as the engraver and mint intended! 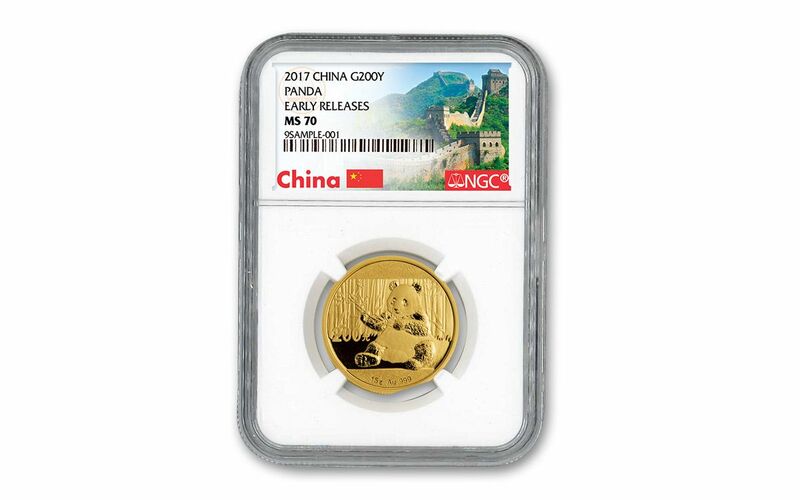 Your Gold Panda will also be certified Early Releases (ER) by NGC, meaning that your coin was among the first struck by the mint and was certified within the first 30 days of issue. All of your Gold Panda's unique characteristics will be described in detail on the acrylic case's label, which also features the iconic Great Wall of China.